By Cam Walker, Friends of the Earth’s campaigns coordinator explores Australia’s new political landscape in an article published by Chain Reaction – Friends of the Earth’s national magazine. Find other thought-provoking articles and support Friends of the Earth by subscribing to Chain Reaction. The following is a brief assessment of possible trajectories in environmental politics under the federal Coalition government, specific areas where the Coalition can be expected to act, and a summary of some of the key players in the new political landscape. The first Tea Party government? John Howard was never an advocate for climate action. Yet we face something different in Tony Abbott. A lot of water has passed under the bridge of conservative politics since Howard’s days. If we want to see what an Abbott government might mean for the environment, we would be well advised to look to the US, where a highly ideological Tea Party movement continues to drive government agendas. Think Sarah Palin, not John Howard. It seems clear that this government will start to dismantle 40 years of environmental progress and modernisation, as approvals for major projects are passed to the States and Territories. Tony Abbott calls this cutting ‘green tape’. In the real world this means more coal mines, more gas rigs, and more port facilities on the Great Barrier Reef. Mr Abbott has long said that his first actions as PM will include the dismantling of the carbon price. What is surprising is the speed at which he is enacting his agenda. There are a considerable number of senior Coalition MPs with profound dislike of all things green. This may manifest as vindictive actions, like the expected lock out of environmental NGOs from government access. This Tea Party approach is a strategic error. Playing to the climate sceptics and anti-greens will not win fans amongst soft green Liberal voters. It also runs the risk of alienating sections of the business community. For example, if Mr Abbott shuts down the wind industry, he is depriving farmers of reliable income and removing jobs from regional Australia. In short, if this government goes hard against everything green, it will damage the economy at the same time. When we look at the Coalition’s recent record, we can see they have been forced to keep the facade that they will take action on climate, yet the Direct Action Plan will deliver very little in terms of emissions reduction. It is little more than a slush fund for farmers and the tree plantings by his Green Army will not be a panacea for our rising greenhouse emissions. The anti science agenda suggests that the Coalition is not controlled by economic rationalists any more, because of the evidence that it is willing to protect fossil fuels and mining at any cost. Ideological opposition to action on climate is likely to trump the opportunities presented by renewables. The depth of hatred expressed towards wind energy by a growing number of Liberals is troubling but also difficult to fathom. Do they hate the wind industry because it proves that the green movement was right all along? Or is it just sloppy and poorly thought out populism? A raft of anti-wind campaigners within the Coalition have been becoming more vocal over the past year. These include new Liberal MP for the seat of Hume NSW, Angus Taylor, who has emerged as a staunch critic of wind energy and the national Renewable Energy Target; Liberal MP Craig Kelly (Hughes, NSW); and Chris Back, Liberal Senator for Western Australia. The Coalition has announced it will ‘resolve’ community concerns over wind farms. It ignores the fact that 19 independent studies has shown there is no link between turbines and ill health. While there are people in the anti-wind movement who are simply concerned about what they believe are negative impacts of this technology, there is an ideological right wing tendency which tends to dominate, which veers towards anti-green and climate sceptic positions. The anti wind hate site ‘Stop These Things’ best typifies this approach, describing environmentalists as ‘Greentards’. While the anti wind movement demographic tends to primarily cross over with the wise use and ‘angry and conservative older white’ demographic (eg Family First and DLP), there is a slightly wider constituency which deserves to be engaged. Polls continue to show that the vast majority of conservative voters support renewables. Even in the US, where powerful religious and conservative forces that are sceptical of climate change dominate, 57% of small businesses believe climate change and extreme weather events are an urgent problem that can disrupt the economy and harm small businesses. And renewables show that a green economy is a better economy; with less pollution, less risk, more jobs and opportunity spread across many regions rather than centralised in a few communities. Greg Hunt − The new environment minister certainly understands that climate science is real and humans are the main cause of global warming. But he is already having to implement a deeply anti-environment agenda, including the abolition of the Climate Commission. Mr Hunt has a long term personal interest in the environment and it will be interesting to see how he implements his Parties negative and destructive policy. Simon Birmingham − The new Parliamentary Secretary to the Environment Minister, with responsibilities for water, has highlighted “the creation of a one-stop-shop for environmental approvals (and) the removal of Labor’s carbon tax” as priorities for the government. Eric Abetz − An elder of the Liberal Party and anti-green senator from Tasmania, Mr Abetz can be expected to continue his campaign against environmental organisations which was interrupted by John Howard losing power. He describes the Greens party as having ‘simplistic and extremist policies and double standards’ and is no fan of membership-based green organisations. The IPA − While the right wing Institute for Public Affairs does not actually hold a seat in parliament, it may as well, given its influence on key thinkers in the Liberal Party. As was recently reported in Fairfax media, growing number of corporate sources have said it is hard for multinationals and big companies to continue supporting the institute due to its hardline positions on many issues. One described its position on climate change as ”nuts” and ”lunacy” and embracing ”fringe” elements. This won’t stop the Coalition from drawing from the IPA’s wishlist of anti-environmental measures. In April, Mr Abbott explicitly endorsed the IPA’s ’75 Ideas for a Better Australia’. 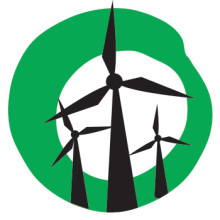 Nick Xenophon − The independent Senator from SA tends towards popularist politics and has been tending to align himself with the anti-wind movement over the past year. With the Coalition promising to ‘resolve’ the issue of wind farms and health, and John Madigan, the anti-wind Democratic Labor Party (DLP) Senator from Victoria, there is the real chance of an anti-renewables push when the Coalition starts the review of the Renewable Energy Target (RET) in 2014. The ‘wise use’ movement − This loose-knit coalition of far-right groups includes the Shooters and Fishers Party and the Country Alliance. Given that the preferences of these micro parties have had some influence in the Senate outcomes because of preference deals, they will be expecting some pay-back from some of the right leaning or unaligned senators who were elected. This could include Ricky Muir from Victoria (Motoring Enthusiasts Party) and Family First, who got a Senate seat in SA. New kids on the block − Clive Palmer’s Palmer United Party has arrived on the scene, picking up three Senate seats (one of them subject to a recount) and one lower house seat for Clive himself. It holds a schizophrenic approach to fossil fuels (concerned about the impacts of unconventional gas but pro-coal) and the erratic behaviour of its leader and untested qualities of its parliamentarians mean it will be one to watch. It has already announced it will act as a voting block in the senate with the Motoring Enthusiasts Party. Pro climate action ALP MPs − The Coalition is moving forward with its intention to remove the price on carbon. It is not yet clear how the ALP will vote when the legislation comes up, or more broadly, how much it will push on climate and environment in the next election campaign. The environment movement − Groups are all looking for ways to influence the new government and are already adopting various strategies, from seeking engagement with the Coalition, to a shift in resources away from the federal political level (e.g. increased shareholder and corporate activism) and enhanced support for local struggles at the state and regional level. The Government has already indicated that it intends to review the legal protections currently offered to environmental groups who engage in secondary boycotts. The Coalition has committed to abolish the carbon price and abolish the Climate Change Authority, the Climate Commission, and the energy security fund. While it has committed to retain the Renewable Energy Target of 20% by 2020 it will review it in 2014, opening the very real possibility that the government will walk away from the target. The Renewable Energy Target is vital for driving investment in renewable energy. The Coalition refused to support the call for a moratorium on coal seam gas (CSG) projects when it was in opposition. It says that the federal government has only ‘limited powers’ to regulate. It will stand back and let the States do what they want when it comes to coal and gas approvals. It has even offered $100 million in incentives to boost mineral and petroleum exploration. Lock the Gate has become a significant player in the national debate over land use and energy futures. And while the Coalition has been keen to talk down the influence of these issues at the election box, there is no doubt that new fossil fuel projects mean a headache for the Coalition (split as they are between pro drilling Liberals versus Nationals with an ear for constituent concerns) and opportunities for the Greens, ALP and minor parties like the DLP. Key Greens like Jeremy Buckingham (NSW MP) and Larissa Waters (Queensland Senator) continue to play a significant role in the community campaign against new coal and gas, while Greens leader Christine Milne plans to continue her pitch to rural and regional voters. This is one of the greatest short term threats: the Coalition intends to ‘streamline assessments and approvals’ processes for major projects. It will set up a ‘one-stop shop’ for environmental approvals processes, covering both Commonwealth and State legislation that will cut ‘green tape’ (environmental protections). In the real world this will most likely mean more coal mines, more gas rigs, and more port facilities in places like the Great Barrier Reef. Mr Abbott is a fan of nuclear power, saying: “nuclear power is the only proven way of generating the base load power Australia needed without producing carbon pollution”. Given how unpopular a domestic nuclear industry would be, he was smart enough not to make it an election issue. The Coalition’s Resources and Energy policy says “the Coalition will formalise the agreement to sell uranium to India”. The Coalition also wants to explore the development of an export industry for thorium – although the use of thorium as a nuclear fuel has not progressed beyond the experimental stage. The Coalition has said it will abolish the Biodiversity Fund. The fund provided significant ‘on the ground’ support (and meaningful employment opportunities) to many indigenous communities. The Liberal Party voted to disallow management plans for marine parks. It has publicly committed to reviewing the marine parks network and current management plans, a dangerous and backwards move. It has already said it would ‘consider’ any proposal from the Victorian government to reintroduce cattle grazing into the alpine national park. It is not yet clear if the government will seek to have the Tasmanian World Heritage Area de-listed. Next Next post: Do Wind Farms Really Kill Birds?